With a population fast approaching 100,000 and a growing community of over 1,500 businesses, Clarington offers what investors and companies desire: affordable serviced land, proximity to market and amenities, business support and a progressive, engaged community. Eyes are on Clarington as the place to grow through new business, local expansion or redevelopment investments. 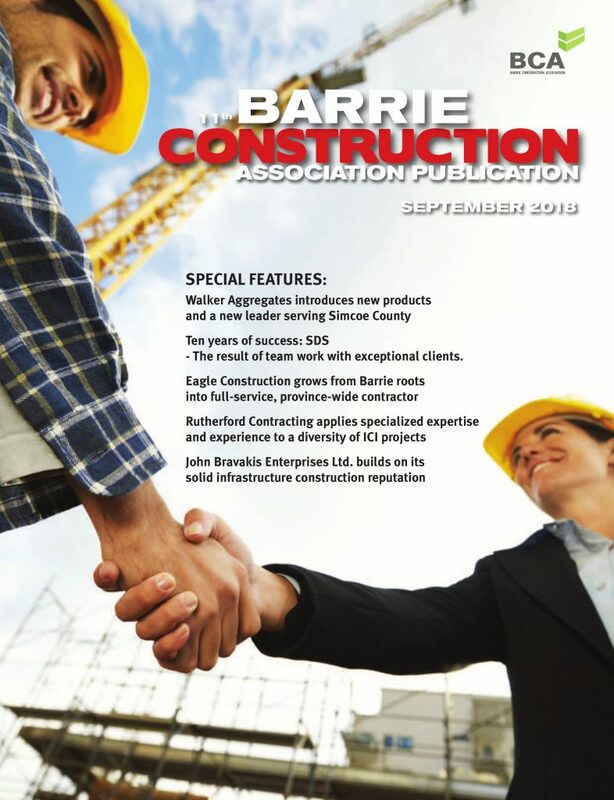 Also, being home to four of the top 100 largest infrastructure projects in Canada, the Clarington Office of Economic Development has seen a significant increase in inquiries from business looking to locate or expand in Clarington. The amount of interest for industrial land increased from 408 acres in 2016 to 1129 in 2017. In 2018, the office has already seen interest in industrial parcels totalling over 100 acres. 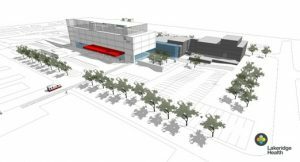 In November 2017, Toyota Canada Inc. announced plans to build its new Eastern Canada Parts Distribution Centre (PDC) in Bowmanville. The new 350,000 sq. ft. facility will be built through Leeswood Construction on a 30-acre parcel near the corner of Baseline Rd. and Lambs Rd., and will employ over 100 people. Their plan is to be open by Fall 2019. The years 2017 and 2018 has seen a steady increase of activity and interest from the cannabis industry. Regulated by Health Canada, Clarington is currently home to three medical cannabis facilities employing over 150 people. Canopy Growth Corporation is currently planning a significant expansion which will create approximately 30 more jobs in addition to their nearly 100 employees. Five more companies including Amber Canada (currently constructing a facility in Bowmanville), plan to establish operations in Clarington in the next few years. It is anticipated this industry will represent over 1000 plus skilled jobs including those involved in research and development efforts. On Jan. 29, 2018, Ontario Minister of Health and Long-Term Care Dr. Eric Hoskins, together with Durham MPP, Granville Anderson announced the Government of Ontario’s approval for the expansion of the Bowmanville Hospital. The development plans are expected to include the construction of a new hospital wing, which will better meet the growing health care needs of those living in East Durham. With the development, Lakeridge Health is also anticipating expanding and enhancing the environment for other programs and services. The new wing is expected to include a new emergency department, new surgical services, critical care unit and inpatient units, and diagnostic imaging. Since a significant amount of planning and design is needed to be completed before construction commences, timelines for construction could be at least two years. At this early stage, this project is estimated to represent approximately $300 million in project costs. Current plans suggest that the expansion will nearly double the size of beds at the hospital from its current 78 bed complement. In addition, given the size of this expansion, it is anticipated that there will be material employment growth at the hospital. 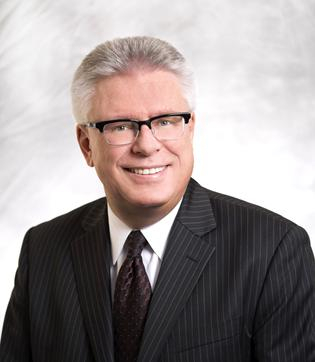 “This is an unprecedented time for health care across the region as the new Lakeridge Health builds an acute care system to better serve people living and working throughout Durham Region,” said Matthew Anderson, president and CEO of Lakeridge Health. With growth of a community, comes growth in opportunity. Clarington continues to offer redevelopment opportunities such as a future project at 45 Raynes Avenue in Bowmanville. As a result of the closure of Continental/ContiTech – formerly Goodyear/Veyance Technologies this 300,000 sq. ft. building sitting on approximately 39 acres, located in the heart of downtown Bowmanville, is home to a future potential mixed-use development – a development that would complement and enhance the character of Historic Downtown Bowmanville. Another opportunity lies on the lakefront – Darlington Marina. Sitting on approximately 11 acres, redevelopment of this area would revitalize the waterfront , enhancing tourism as well as complement future residential growth in the community. Clarington is home to four of the top 100 largest infrastructure projects in Canada totalling over $14 billion in investment and creating thousands of jobs. 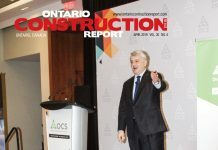 Projects underway are: Ontario Power Generation’s Darlington Nuclear refurbishment, Port Granby remediation project, Highway 407 east extension and GO Train extension to Clarington, creating two new stations. 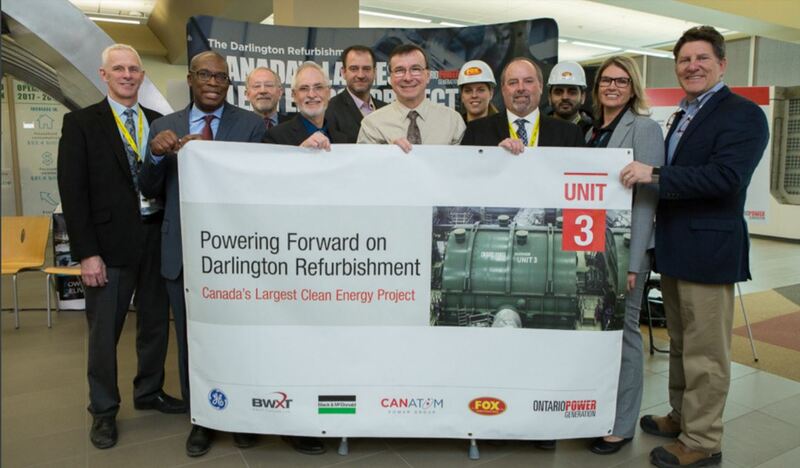 On Feb. 13, the Ontario government announced its commitment to begin the refurbishment of Unit 3 at Darlington Nuclear. With this announcement is the celebration of the halfway mark of refurbishing Unit 2. “The Darlington refurbishment will ensure that reliable, nuclear energy continues to be the backbone of our generation fleet,” the Minister of Energy stated in a news release. 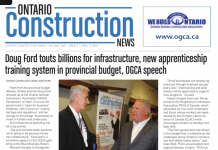 Refurbishment and continued operation of Darlington to 2055 will contribute $90 billion to Ontario’s GDP, and increase employment across the province by an average of 14,200 jobs annually, including more than 2,600 jobs onsite at Darlington. Metrolinx recently announced that construction of the GO Train extension to Bowmanville will be starting in 2019, starting with a new bridge over Highway 401 in Oshawa. The GO Train is expected to be in service by 2025. This will create two new stations in Oshawa, one in Courtice and one in Bowmanville. It is estimated that over 60 development sites will surround these stations – creating opportunity for investment and job creation. Earlier in the year Highway 407 opened to traffic between Harmony Rd. in Oshawa and Taunton Rd. in Clarington. The opening marks the successful completion of Highway 407 East Phase 2a. This phase of the project extends Highway 407 9.6 kilometers east with a full interchange at Enfield Rd. Eastbound and westbound traffic on Taunton Rd. can also access Highway 407 through a partial interchange. The remainder of the Highway 407 East project is on schedule. By 2020, the final portion of Phase 2 which includes Highway 407 to Highway 35/115 and Highway 418 from Taunton Rd. to Highway 401 will be open to traffic – completing the project. Environmental clean-up is ahead of schedule for the Port Granby Project. Approximately half of all historic low-level radioactive waste at a legacy waste management site on the Lake Ontario shoreline in Port Granby has been cleaned up. The waste has been relocated to a new long-term waste management facility approximately 700 metres north of the legacy site. The cleanup of the site began in November 2016 as part of the Port Hope Area Initiative (PHAI). Through the project, approximately 450,000 cu. m. of historic low-level radioactive waste will be transported from the legacy waste site to the new facility. To date, approximately 200,000 cu. m. of waste has been placed in the lined cells of the newly constructed engineered aboveground mound.